PS Whey is formulated using only 100% pure whey protein isolate and concentrate without any added sugar, fillers, dextrose or amino spiking. Created using only cold processing to keep the natural, valuable micro-fractions intact and protect the integrity of the amino acids, PSWhey ensure that it delivers 24 g of premium protein without the additive you can do without. Ideal for every goal, PSWhey enables you to focus on your goals…not worry about the quality of protein. What Is Your Protein Made Of? Containing 80% protein content per gram, WPC is often highly regarded for it’s properties that make it close to a whole food protein source. 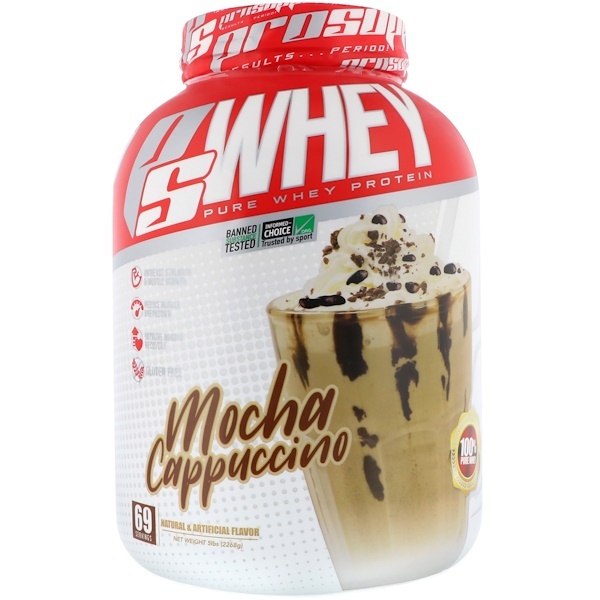 PS Whey utilizes the highest grade PWC available using only cold-processing. This means that there is minimal risk of being denatured by heat and helps preserve more of the naturally occurring peptide fractions that provide an array of benefits. Often regarded as the purest form of whey protein, WPI contains an average of 90% of its weight coming from protein with minimal lactose and fat, which is great news for those sensitive to lactose and looking to keep their calories in check. 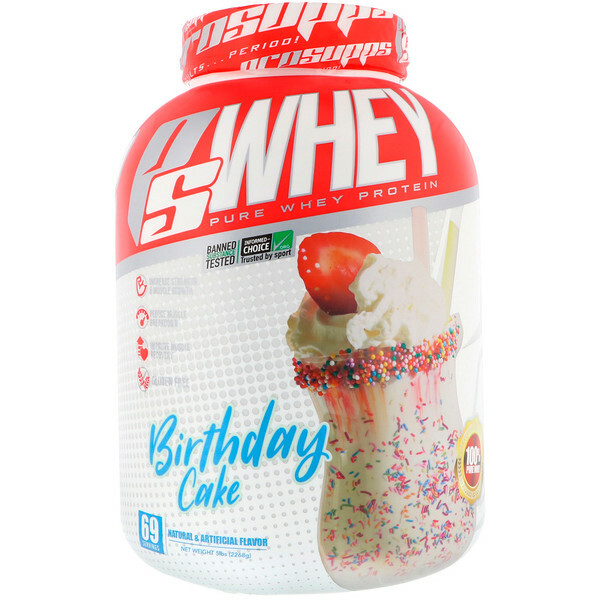 The WPI in PS Whey is fast digesting, containing high levels of the anabolic amino acids leucine and with practically zero fats, lactose or added sugar, WPI is an ideal, premium protein for promoting lean muscle growth, repair and maintenance. 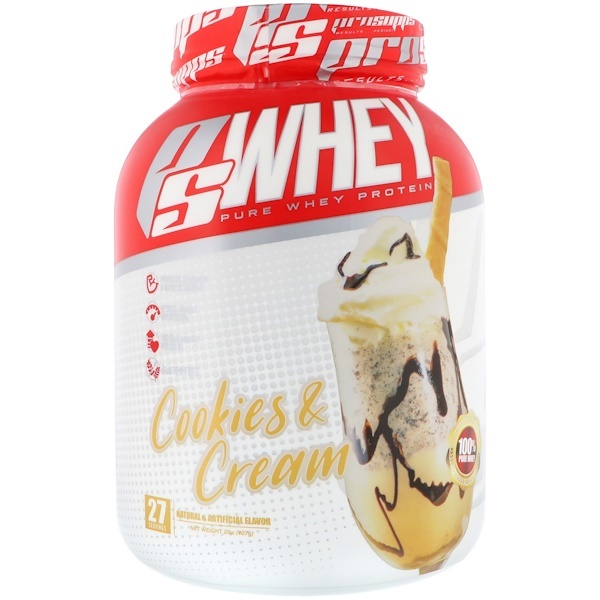 Directions For Use: For a great tasting, delicious shake combine 1 scoop of PSWhey with 6-8 ounces of cold water (depending on personal preference for desired thickness). Use 2-3 servings daily for maximum protein uptake. Always drink 12 to 16 ounces of additional water for each protein shake consumed. Shaker: Bring a shaker cup with you to the gum is the best way to get a powerful dose or protein immediately after your workout. Just add one rounded scooop of PSWhey to your shaker cup and then pur in 6-8 oz of your preferred beverage. Cover and shake for 25-30 seconds. PS Tip: Mixing one scoop with 6-8 oz. of nonfat milk instead of water will give you a thicker, creamier shake. 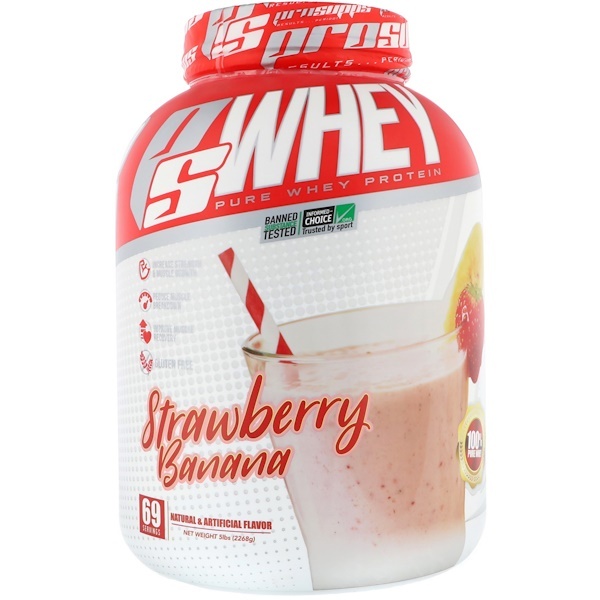 Blender: Add one rounded scoop of PSWhey to a blender filled with 6-8 oz. of water, nonfat milk, or your favorite beverage. Blend for 20-30 seconds. Then add 1 or 2 ice cubes and blend for additional 30 seconds. Try adding fresh or frozen fruits (strawberries, bananas, etc. ), peanut butter, flaxseed oil ot other supplements, including Prosupps: Creatine, Glutamine, L-Carnitine for an even more powerful post-workout recovery shake. 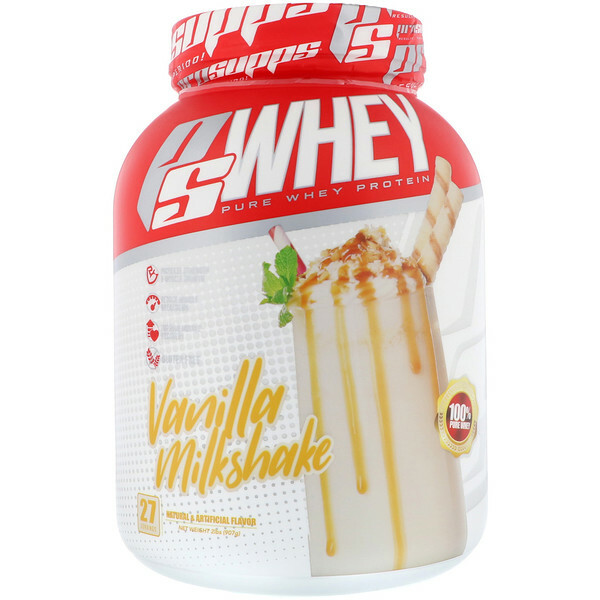 Whey protein concentrate, matural and artificial flavors, whey protein isolate, creamer (sunflower oil, maltodextrin, sodium caseinate, mono and diglycerides, natural tocopherol, tricalcium phosphate), salt, citric acid, red beet powder (color), sucralose, xanthan gum, guar gum, soy lecithin. Allergen Warning: Contains ingredients from milk and soy. Made in a facility that also processes sesame, egg, peanuts, tree nuts, fish/crustaceans/shellfish oils, and wheat products. Store in a cool, dry place. Contents sold by weight, not volume, some settling may occur. Protect from heat, light and moisture.